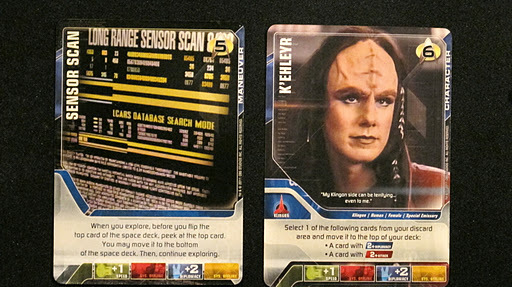 Star Trek TNG (The Next Generation) adds several new features and variants to the DBG (Deck Building Game) genre. Except for Resident Evil, no other DBG can compete with Star Trek’s several different types of play: Exploration, Borg Invasion, and Klingon Civil War scenarios. Each of these different scenarios forces players to adjust their strategies, but some general rules still apply. 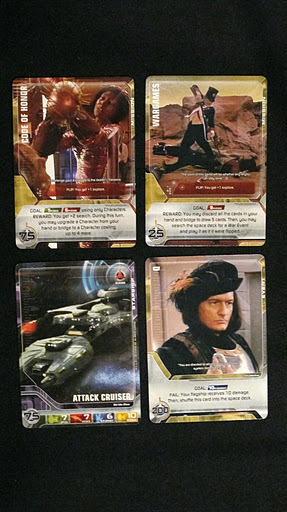 Besides general DBG strategy, the Star Trek DBG demands that its players learn how to exploit certain parts of the game. No matter what cards make up the Space Deck, you need to add cards to your deck that provide Diplomacy. Upgrading your flagship gives you the best chance of victory. Think of swapping to a new ship as a way to bank the bonuses you accumulated in one turn, and then you use those bonuses every turn after that! The winner of the Exploration scenario usually comes down to one of the first people who won a diplomacy battle. In order to defeat stronger Borg Cubes, players will need stronger ships. Even though the Klingon Civil War scenario provides many different ways for players to boost their stats in combat, winning a diplomacy battle to change your flagship still pushes you ahead. Every player needs to prioritize cards that provide Diplomacy. No matter how many plus searches you receive in a turn, you will never find Spock (remember this is Piccard Trek); however, don’t forget about your free search every turn. This game mechanic allows players to mix up the board so they can try and find that one card they need. It’s a great way to dig for cards with Diplomacy, or remove them from play so other players can’t gain them. 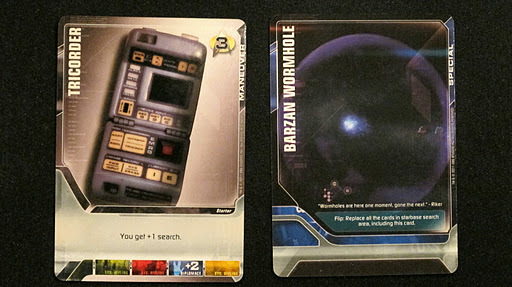 Don’t fret about hitting a Barkon Wormhole. When playing against several opponents, you cannot rely on a card staying in the Starbase Search Area. Too many cards will leave play because of searches or players gaining them. I recommend using every instance of search available to you in a turn and to search away characters over maneuvers and set ups (some exceptions apply to this rule). I prefer to clear the Starbase Search Area of characters because only one copy of any character exists in the deck. By removing them you eliminate the possibility of any player gaining the card until the deck reshuffles. These are the decisions of any starship player. It’s continuing dilemma, to explore into possible death, to not explore and miss out on new missions and new ships, to boldly explore where no wimp has gone before. Never forget to explore when you should, but how do you know when to explore? This really comes down to the scenario, but as a general rule of thumb explore any time your starship has significant Speed and Diplomacy. The Space Deck always contains fifteen starships you can take over in a diplomacy battle. You really shouldn’t explore in the Exploration scenario unless you think you can win a diplomacy battle. You can try and rack up points by exploring with just high Speed and Attack; however, the high variance of different requirements for missions makes predicting what you need difficult. Revealing missions also just makes the next player’s turn that much stronger, because he or she has more information and can possibly work towards completing the missions in play. Winning a Diplomacy Battle against a powerful starship will put any player in a position to explore freely for the rest of the game, so I recommend only exploring when you’re ready to take over ships. Players should explore more often in the Klingon Civil War versus the Exploration scenario. Most of the cards do not harm players and players won’t keep missions in play for their opponents to complete. You could win the lottery and hit an Influence card. Want to influence the discussion? Do you players could use more pointers? 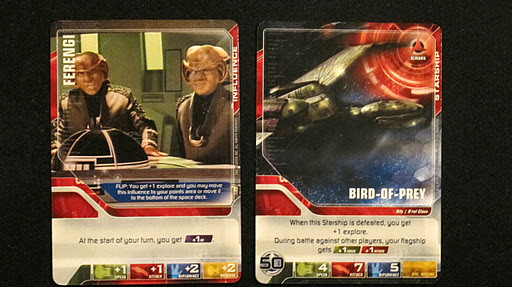 For more information about Star Trek the Next Generation Deck Building Game, check the product page on BoardGameGeek.com. This is pretty much the strategy most of us have here at the Bandai office. One thing to note is that once one of the players does get a new Starship all of the other players tend to gang up on that player and target our negative effects on that player so they don't run away with the game and still give us a fighting chance to catch up with him. However, in a 2 player game I can see where that is going to be difficult to catch up with them without a little luck from Q.
Woah this blog is wonderful i like studying your articles. Keep up the great work! You know, many people are looking round for this info, you can aid them greatly. Glad you enjoyed the content on this blog and in this article. 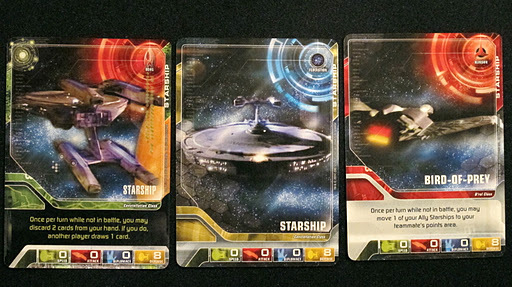 You can expect NLCG to cover more of the Star Trek: The Next Generation Deck Building Game. I like the helpful data you provide you with in your content.I will bookmark your web log and check yet again listed here often.I am very convinced I will discover an awful lot of new stuff correct listed here! Decent luck with the next! Glad to hear it. Stay tuned for more content about this game coming soon.